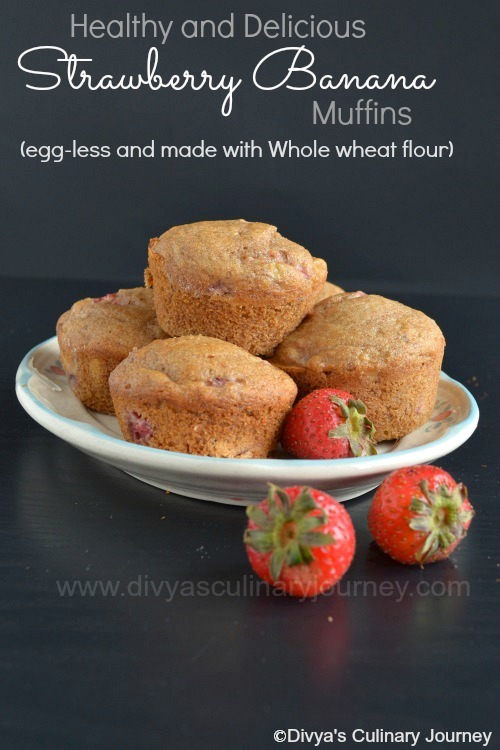 This is very easy to make and requires only 3 ingredients. It tasted almost close to the store bought one. 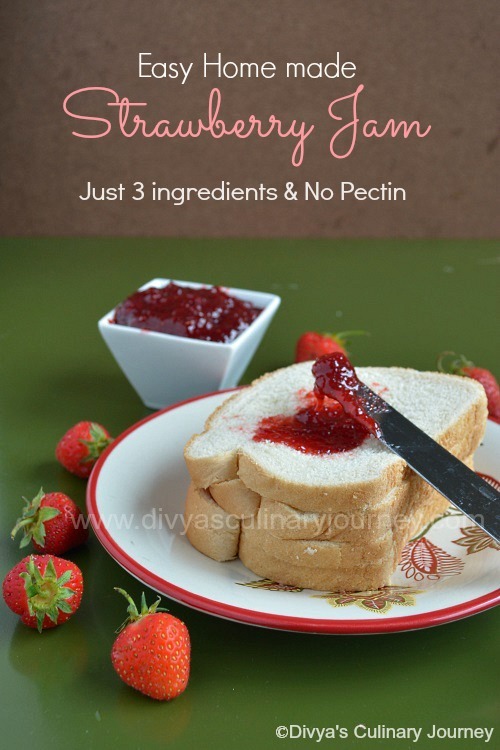 It is time for Vegan Thursday and since this jam is Vegan too, it is the perfect time to be post it today. 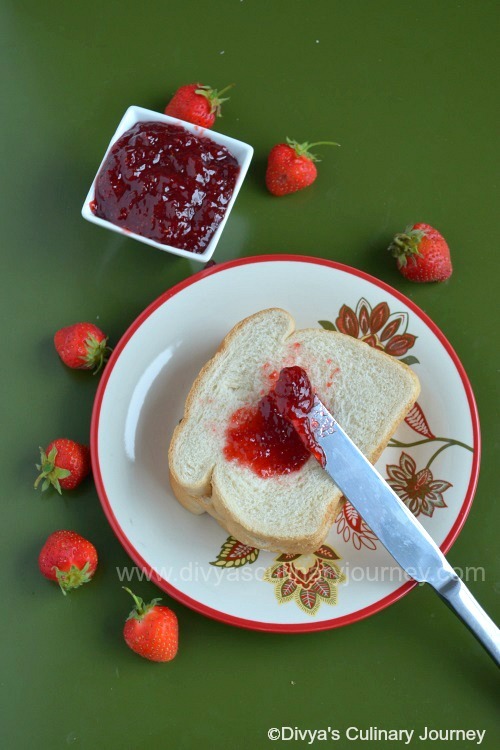 Easy home made Strawberry Jam- No Pectin Required. 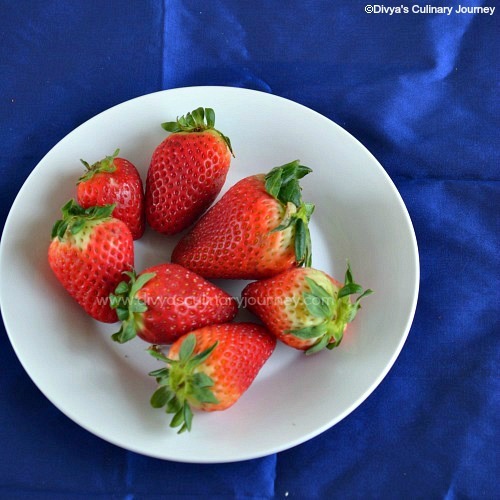 Transfer this crushed strawberries to a heavy bottomed pan. To this add sugar and lemon juice and mix well. Heat this mixture on a high heat till it starts to boil. Then stir in regular intervals and reduce the heat till it starts to thicken. Let the jam cool down, then transfer it to a sterilized jar and store in cool place. Use as desired. It yields about 1 1/2 cup jam. 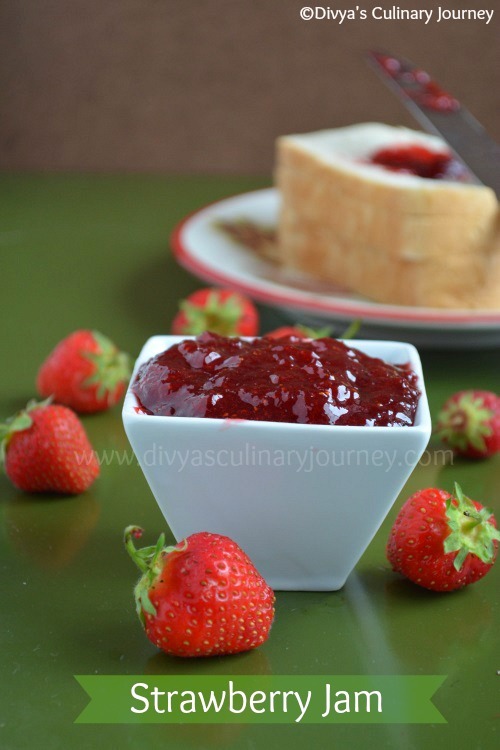 Use a tall pot for making jam so that when the jam boils, it wont spill over. To see if the jam has reached the required consistency, perform gel test. Keep a plate in the freezer for 5 minutes. when small amount of jam is put on the plate and returned to freezer for 2-3 minutes, then taken out the jam should set well and not be runny. The jam will not be too thick when hot, it will set to the right consistency as it cools down. If the jam thickens too much while cooking then when it cools down it will become hard as a leather. 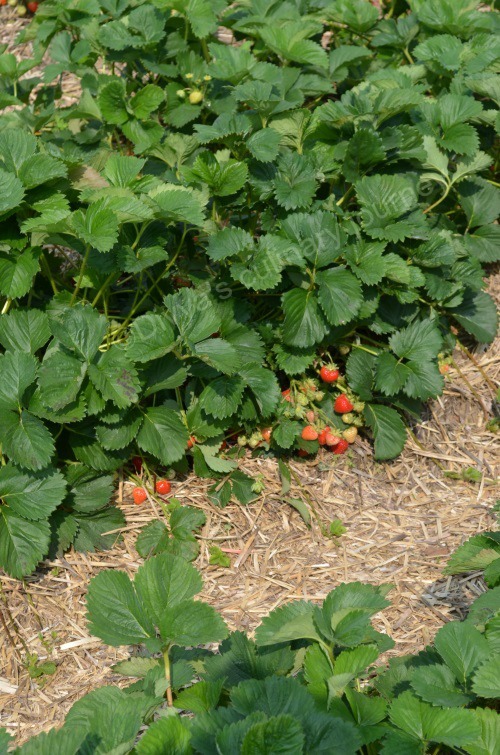 We went to strawberry picking this weekend and here are some of the pictures from the trip. 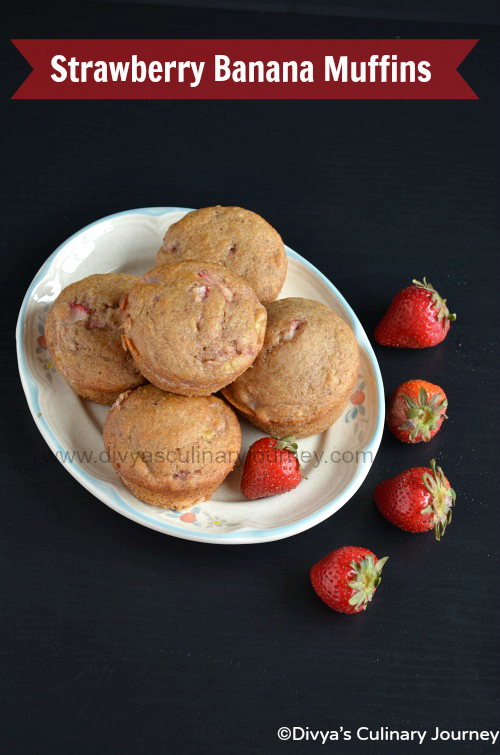 Also I have listed the recipes with strawberries that I have already posted here in the site. 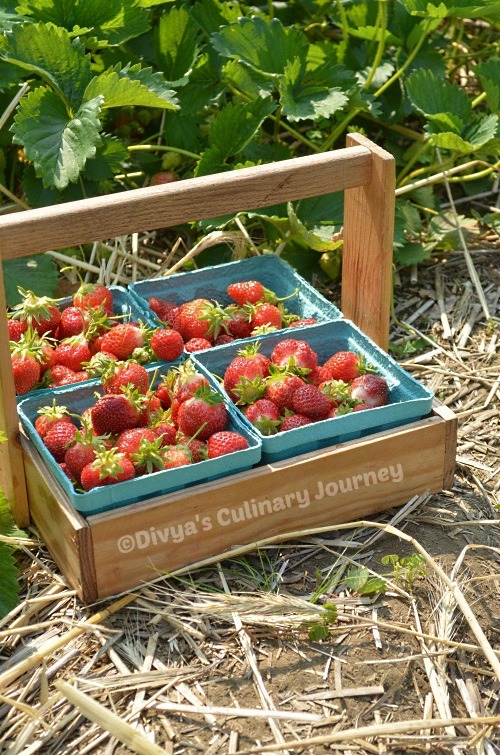 Here are the boxes of strawberries we picked. It was very hot and humid that day. 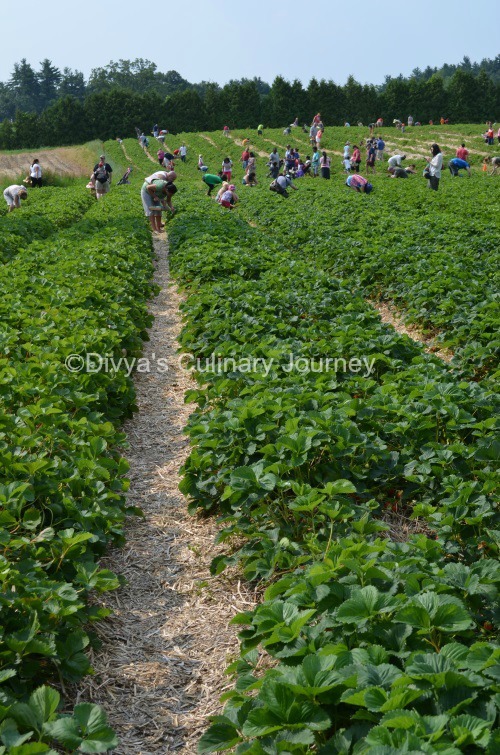 After picking strawberries we had Strawberry shortcake with ice cream from the bakery there and it was so yummy. 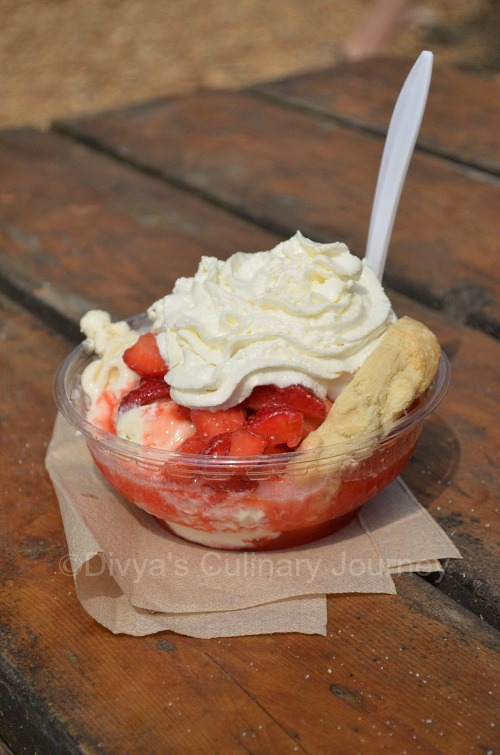 Strawberry Shortcake with ice cream from the farm's bakery. Tasted delicious. I have lot of strawberries at home now. 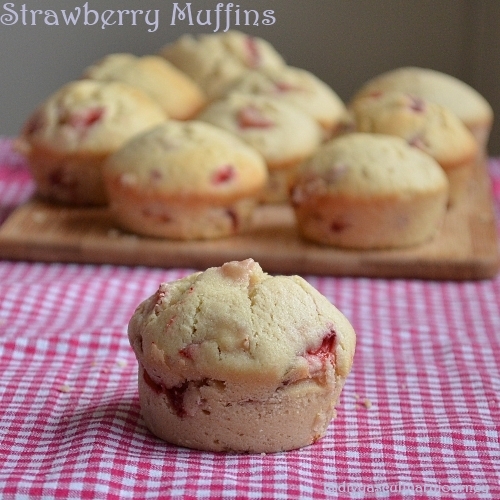 I will be posting some recipes with strawberries soon here. 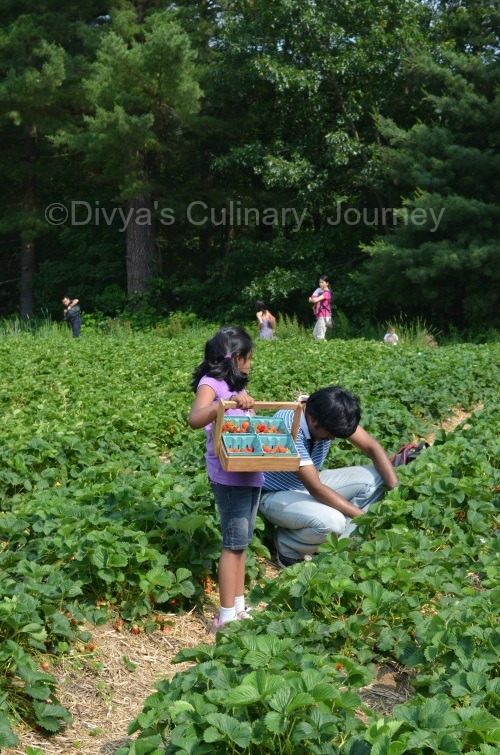 Did you all go strawberry picking too? How was the experience? Do share with us here. 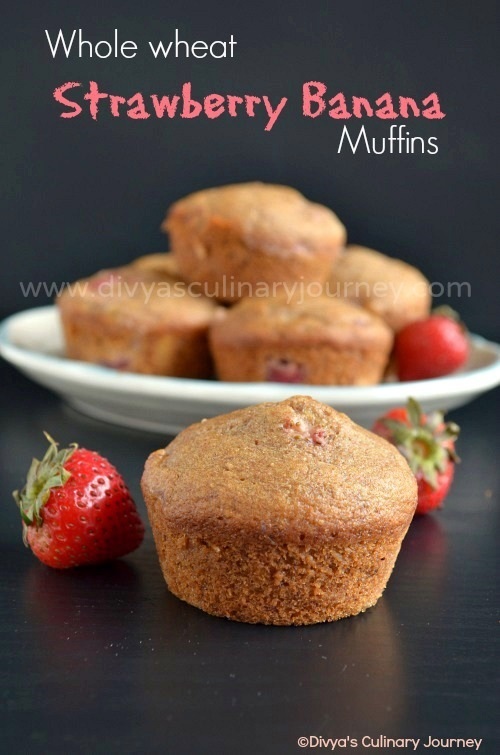 Got lot of strawberries and looking for recipes with Strawberries ?? 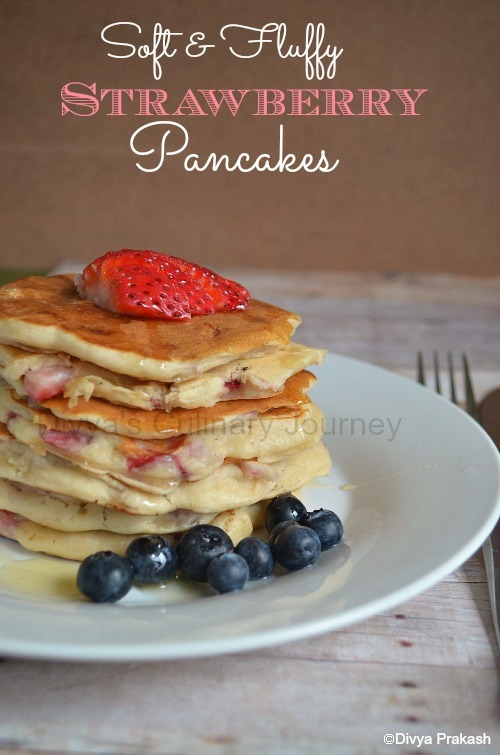 Here are some of the recipes which I have posted already. Blogging has got me a lot of good friends. One such wonderful friend is Shama Nagarajan . Today is her birthday. Happy Birthday, Shama!! We friends have decided to throw a virtual birthday party to her. 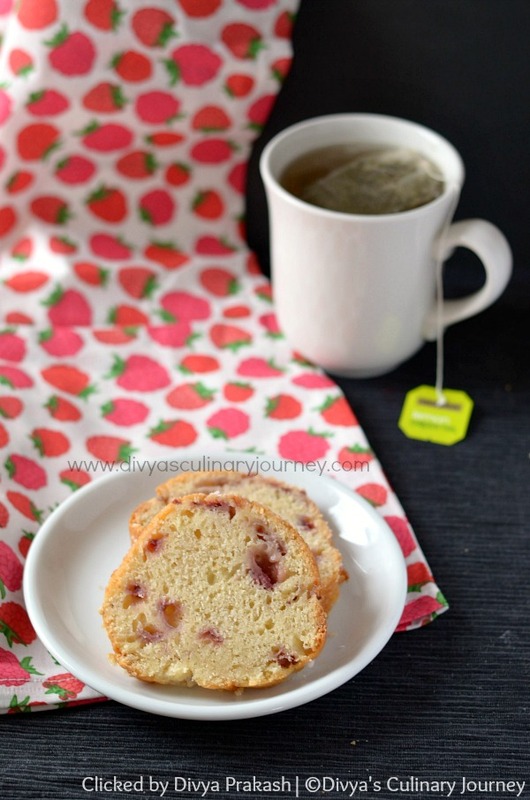 Each of us have picked one sweet dish from her blog and are giving this virtual treat to her. I picked Rava paniyaram from her blog. This is a sweet version of rava paniyaram. 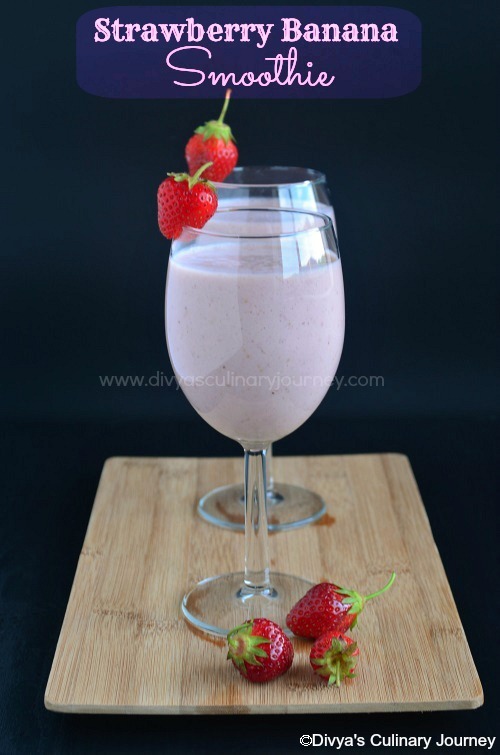 It is very easy to make and delicious and is ready in minutes. The original recipe involved deep frying but I mostly avoid deep fried stuff, so made them in the paniyaram pan/ aebleskiver pan. Soak rava in water for 10- 15 minutes. Then mix all the ingredients and prepare the batter. Take care the batter is not too thick or watery. Heat the paniyaram pan, pour oil in each mold and pour the batter, cook in low flame, turn it to the other side cook till its done. Remove from the pan and serve it warm. 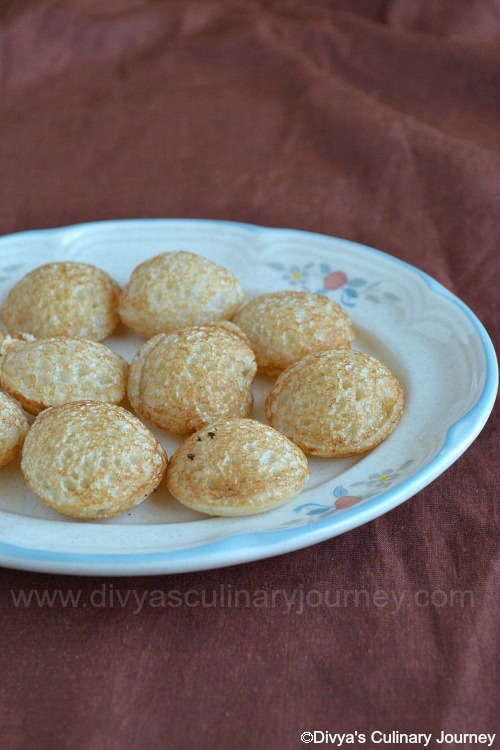 As per the original recipe you can deep fry the paniyaram too. Heat oil, then pour the batter in the oil, fry till it is golden brown and serve. You can adjust the sweetness, as per your preference. 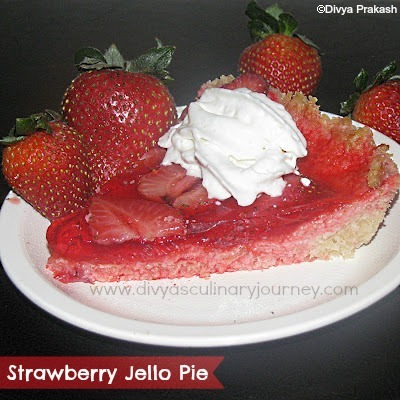 Do check what Priya Suresh Akka, Sangee Vijay and Manjula Bharath have cooked from Shama's blog for the treat too. 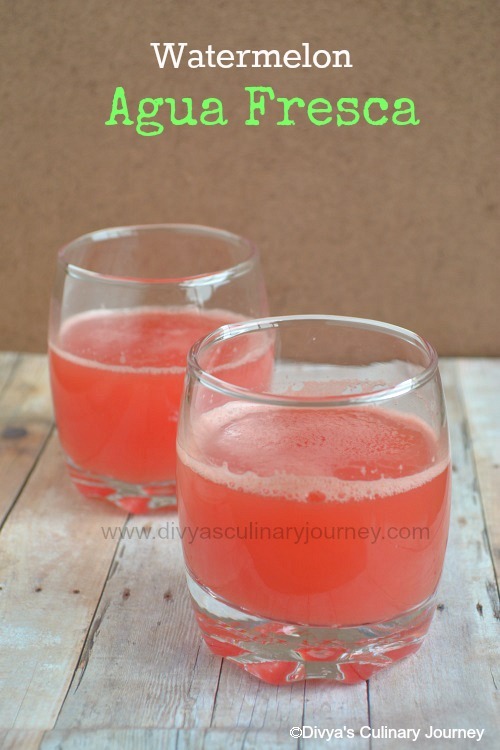 Today's recipe is Watermelon Agua Fresca. I had some watermelon left in the fridge and I wanted to make a simple and refreshing drink with it, so decided to go ahead and make Agua fresca with it. 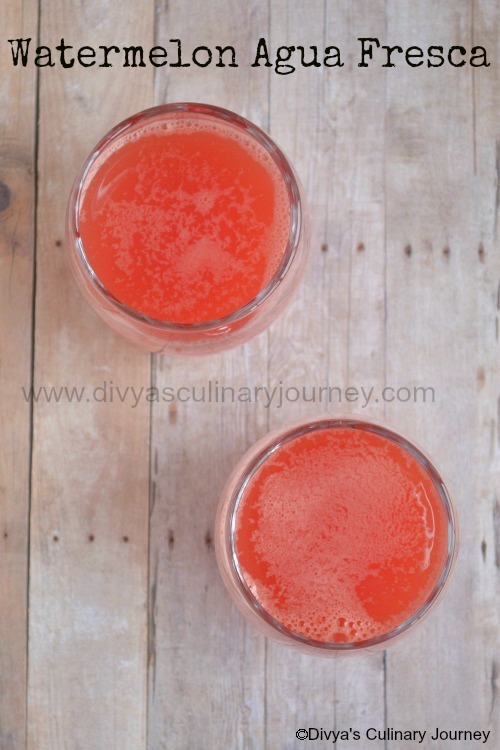 It is an Mexican light refreshing drink made with different kinds of fruits, here I have used Watermelon. 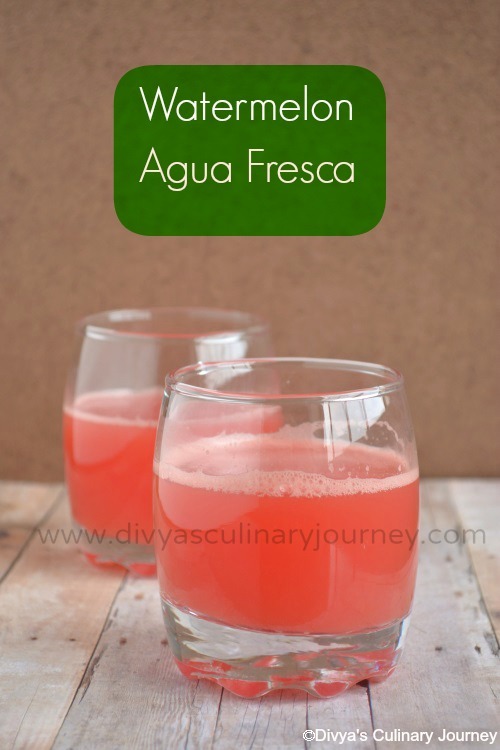 The weather is getting warm here and this agua fresca was perfect thirst quencher. It took only minutes to prepare it. In a blender puree watermelon, water along with sugar and lemon juice. Then filter to get the clear juice and discard the pulp. You can garnish with mint leaves. You can serve with ice cubes. 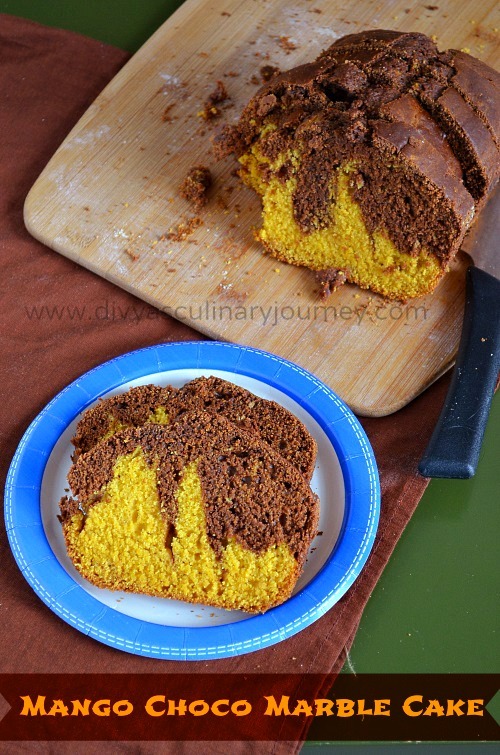 Today's recipe is Mango Chocolate Marble Cake. I baked this for the Home baker's Challenge started by Priya Akka. Last month I hosted the event and the challenge was Pizza . 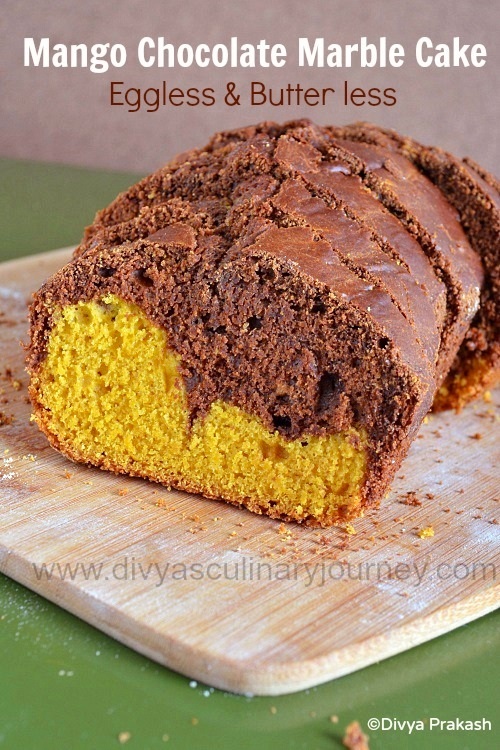 This month my friend Sangee is hosting the event and she selected Mango chocolate Marble cake for this month. She suggested both cake with egg and cake without egg. 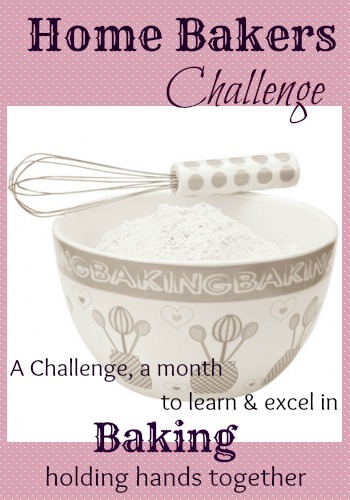 To know more about Home Bakers Challenge click here. I chose to bake the egg less and butter less version. The Cake came out so soft and delicious, only thing is that I couldn't get the marble pattern right. We all enjoyed the cake a lot. Thanks to Sangee for the wonderful challenge. Prepare the loaf pan by greasing it and flouring it. Or you can grease and line the bottom of the pan with parchment paper. In a bowl sift together the dry ingredients( all purpose flour, baking soda, baking powder and Salt) and keep it aside. Then in another large bowl, first add oil and sugar, mix and then add mango pulp, milk, yogurt, vanilla extract and mix well. To this mixture add the flour mixture and mix well. In a small bowl, take cocoa powder and add warm water and mix to make a paste. Divide the cake batter into two and add cocoa paste to one half and mix well till it is well combined. Then in prepared cake pan first pour the mango batter and then the mango cocoa batter and make swirls. Bake for about 50 minutes till the cake is done. You can check the done-ness of the cake by inserting the tooth pick, it has to come out clean. 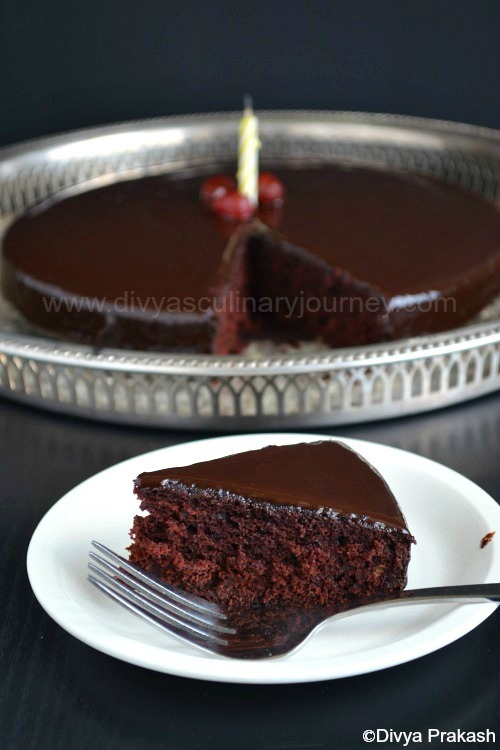 Let the cake cool for 5 minutes, remove from the pan and let it cool completely before slicing it. You can use fresh mango pulp instead of the canned mango pulp. Since I used the canned pulp, I got a bright color. 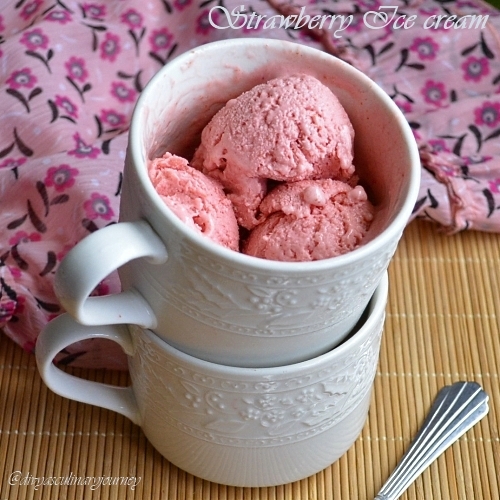 Color may not be as bright when using the fresh pulp. It depends on the variety of mango you use. 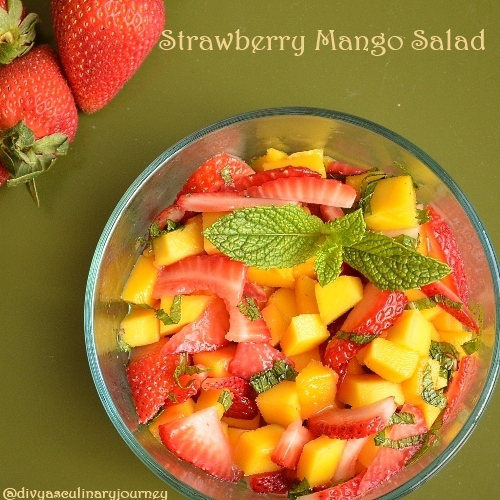 I used sweetened canned mango pulp, so used only 1/2 cup of sugar. If you are using fresh mango pulp, adjust sweetness accordingly. Baking time varies with each oven. My cake was ready in 50 minutes. Check yours accordingly. Wait till the cake cools completely before slicing it. I used 9 inch loaf pan. Instead of it, you can use other types of cake pan too. 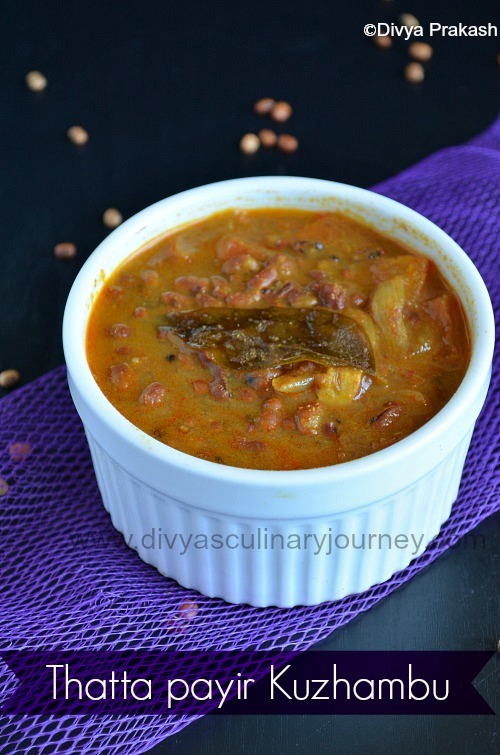 Today I am here with Thattai payir kuzhambu Recipe. 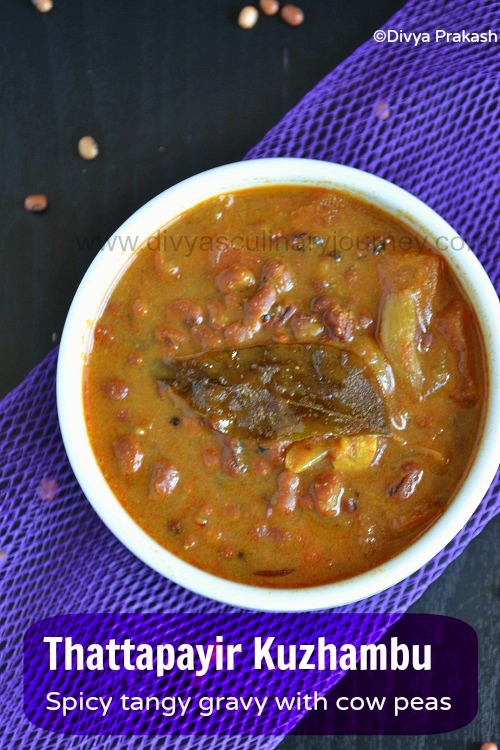 It is a spicy tangy gravy made with Thatta payir which is also known as karamani. It is healthy and delicious. 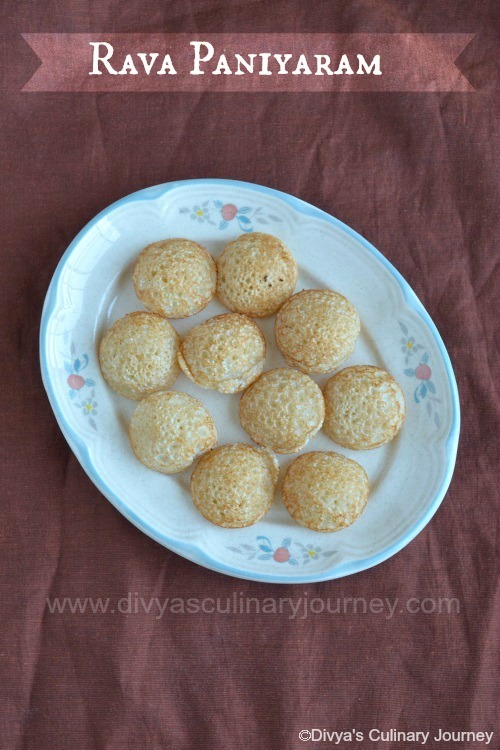 How to make Thattapayir kuzhambu? Soak thattapayir for atleast 30 minutes and pressure cook it. Soak tamarind in water and extract the juice and discard the pulp. Grind coconut, onion and cumin seeds together into a fine paste. In a pan, heat oil, add mustard seeds, fenugreek seeds and fry for a minute. Then add the chopped pearl onions, garlic and curry leaves and fry for 2-3 minutes. Then add the tomatoes, asafoetida, turmeric powder, chilli powder, coriander powder and cook till the tomatoes turn mushy. Turn off the heat and serve with rice and appalam or any other vegetable side dish of your choice. Instead of pearl onions you can use regular onions too. You can grind the tomatoes along with the coconut paste. 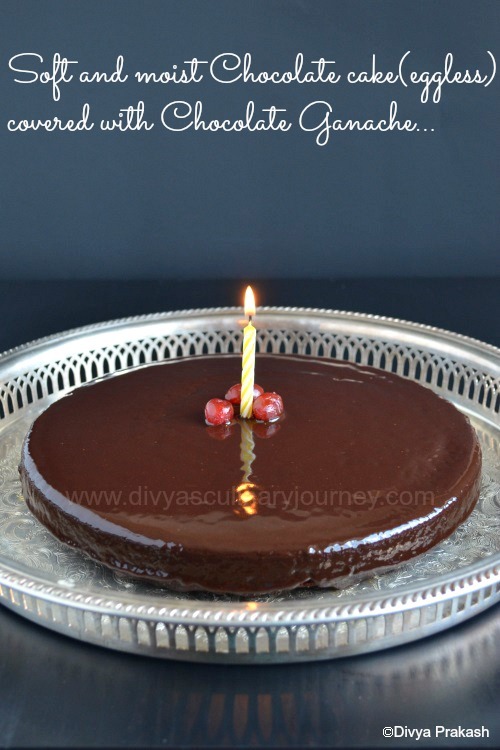 Today I am sharing with you egg-less version of Chocolate cake. Recently my Mom's birthday came and I wanted to bake a cake for her. Though she is India and am here in US, at least wanted to give her a visual treat, She loves chocolate a lot, so baked a chocolate cake. 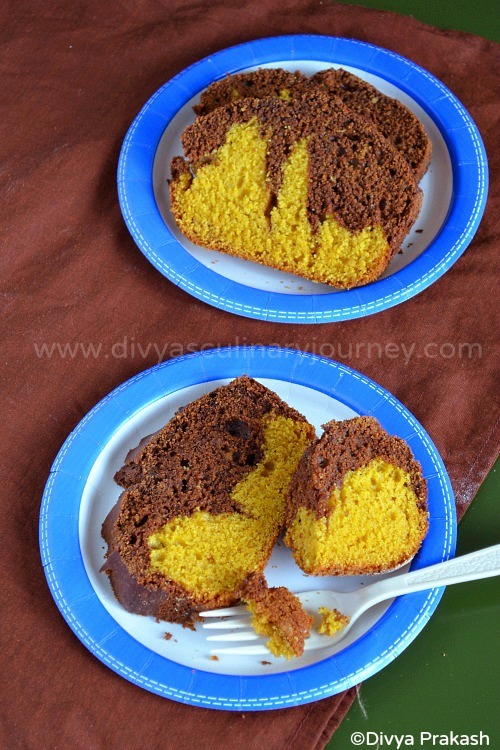 I have already posted Chocolate cake with egg but this time tried an egg less version. The cake came out so soft and moist. I baked a single layer cake and covered it with chocolate ganache. It is definitely a treat for the chocolate lovers. Prepare the cake pan by greasing it and flouring it or instead line it with parchment paper. In a large bowl ,sift the dry ingredients( All purpose flour, cocoa powder, baking soda and salt) together. Keep it aside. Add this mixture to the flour mixture and mix well. Pour this batter into the prepared cake pan and bake for 15- 20 minutes till the toothpick inserted in the center comes out clean. Let the cake cool and remove it from pan. The cake is ready for decorating. If not decorating, can slice and serve now. Cook the chocolate chips and whipping cream in the top of a simmering water, add butter, stirring occasionally till it is warm, smooth and shiny. 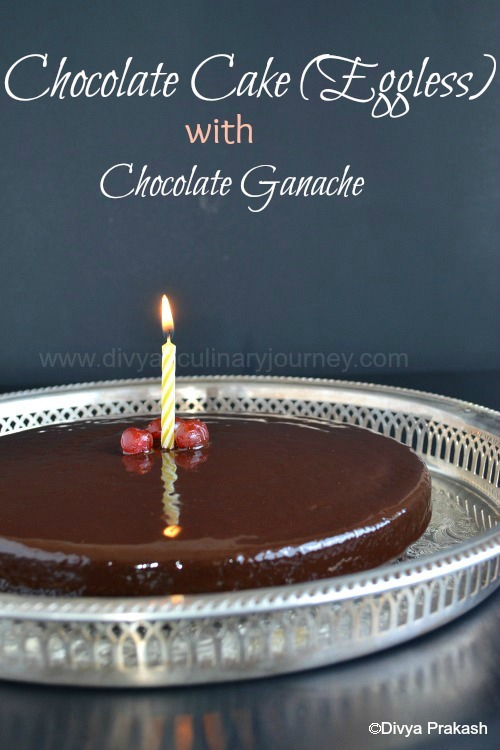 Let this ganache cool down lightly, then spread this evenly on the cake. 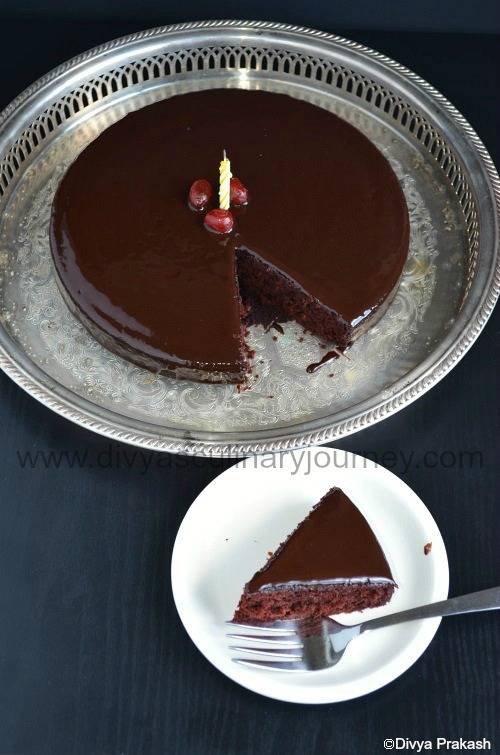 You can double the recipe, if you are planning for a double layer cake. The original recipe used vinegar instead of lemon juice. You can use vinegar too. If you don't prefer adding brewed coffee, you can add water instead. But I feel coffee enhances the chocolate flavor. You can decorate as per your personal preference. 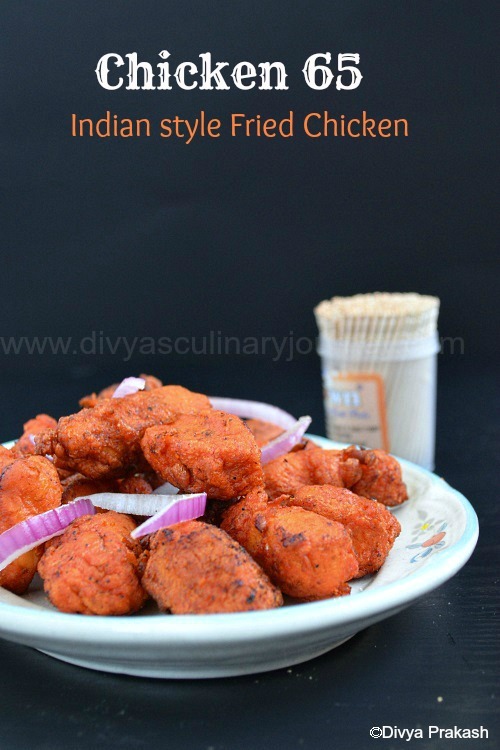 Today's recipe is Chicken 65- Indian style Fried Chicken.I used to wonder earlier how the dish got the name. There are different stories for that. If you know, you can share it here. Though every one at home love chicken 65, the biggest obstacle is deep frying. So I prepare this very rarely at home. But recently when I prepared this, kids really enjoyed eating chicken 65. 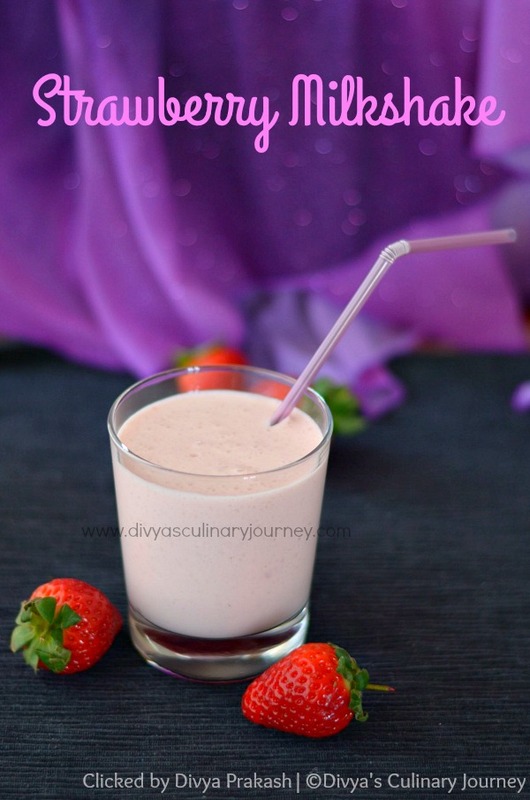 So I thought it is time to blog about this and here I am with the recipe.